A dredging project has started to ensure the quick discharge of upstream water in the Rewa River to minimise spillover water from flooding nearby communities. 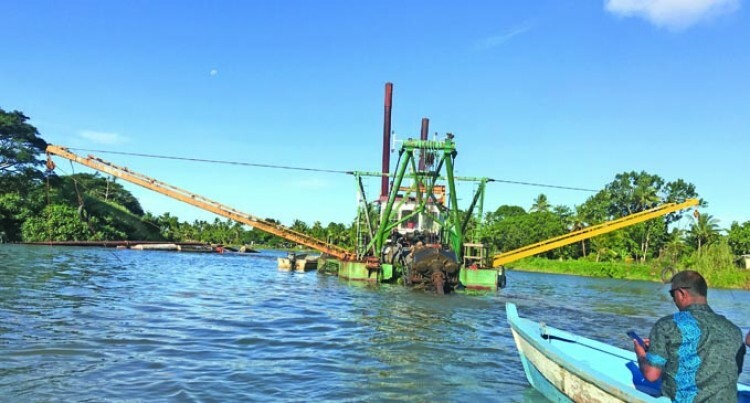 Minister for Waterways Mahendra Reddy gave the assurance during the commission of dredging operations for Rewa River in Nasali Landing in Rewa yesterday. The area of Rewa River catchment is approximately 3000 kilometres (squared) and Wainimala, Wainibuka are the two major tributaries which form the Rewa River when they join near Vunidawa. The other tributary downstream of Vunidawa is Waidina and the last tributary, which joins the river is Wainimala River just upstream of Rewa Bridge. The longest length of main Rewa River is approximately 160km. The works commenced in the Rewa River since 1985. Since then, continuous dredging of Rewa River channel from river mouth to bridge has been undertaken. During Cyclone Kina in 1993, the Rewa flats were not severely affected by floods when compared with other major river systems because of dredging. Mr Reddy said the Government was committed to provide a safe and productive environment for all communities. “We are looking forward to engaging other contractors so that we can fast track dredging works in other tributaries not only in Rewa, but throughout Fiji,” he said. “Due to climate change, the intensity and frequency of rain has increased significantly over the past three decades. With this change, our waterways now have to handle more volume of water then what they used to handle before. Our catchments upstream are not able to absorb and hold as much water now as they used to absorb and hold before. This is because of deforestation and agricultural activity upstream over the last three decades. Punt driver Wame Bolakoro of Rewa said they were enlightened by Mr Reddy’s words to ensure that the province of Rewa was safe and well looked after. “We had been facing a lot of difficulties due to low tide to transport people across to their respective villages but with the dredging of the river, we know that we will not face anymore difficulties,” Mr Bolakoro said.